People who have never experienced migraines may mistake one for a common headache. However, there are marked differences in pain when it comes to a migraine vs headache. Let’s admit it, we’ve all experienced headaches from time to time and have endured or cured it through our lives. Although, migraine headache symptoms and causes are entirely different from a normal headache. How do I know if it’s a migraine or headache? Unlike a migraine, normal headaches are usually associated with tension or a common illness, like the cold or flu. These headaches are more of a nuisance that occurs infrequently and with markedly different symptoms and triggers. When it comes to a migraine vs headache, there’s also a difference in the progression. The difference between a headache and a migraine is amply apparent when you notice the triggers, the causes or symptoms, as well as how the pain progresses. If you follow these signs and pay attention to them it is easy to tell them apart. Tension headaches often occur in multiple locations throughout your head. Tension headaches can occur in the front, back or top of your head. Tension headaches are generally painful, uncomfortable and interfere with your daily routine, but are not severe enough to take you out of commission entirely. On the other hand, a migraine headache can be debilitating and cause you to stop or delay the normal course of your day. Tension headaches are treatable with most over the counter medications, whereas migraine headaches may be dulled with over the counter medication, but you cannot get relief from all of the associated symptoms. Most tension headaches occur without warning from your body, whereas your body often gives you advanced warning for an oncoming migraine headache. These warnings may vary widely from having a dull headache a day before a full-blown migraine headache sets in. You may also experience other warning symptoms like blurred vision or even mild nausea. Tension headaches also tend to give a “tight band wrapped around the head” feeling that causes mild or moderate discomfort. On the other hand, migraine headaches tend to be a pulsating or throbbing feeling that is often more severe. Tension headaches generally don’t become more severe due to external irritating features like bright lights or loud sounds. On the other hand, migraine headaches may intensify due to a variety of external triggers. Migraine headaches also intensify with movement like walking, climbing stairs or performing extraneous activity. On the other hand, tension headaches are unaffected by body movement. 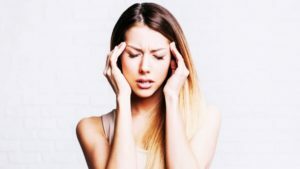 Migraine headaches: As discussed above, a person suffering from migraines will often feel intense throbbing pain usually on only one side of the head. 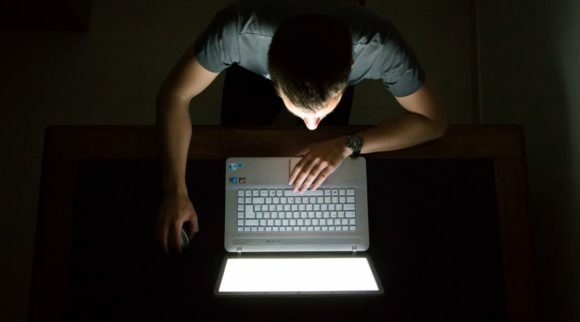 Symptoms may range to include seeing random spots, zigzag lines and flickering lights, partial loss of vision, muscle weakness, difficulty speaking, pins and needles, numbness, and sometimes even muscle weakness. Although both children and adults can suffer migraines, women are more likely to suffer from migraines than men. 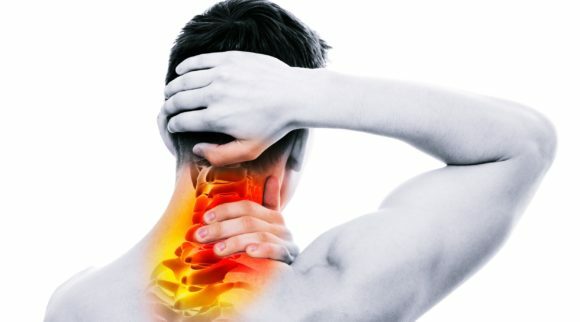 Cluster headaches: Aptly named, cluster headaches occur in groups lasting somewhere between 15 minutes and three hours. The people who suffer from them define them as severe pain and often complain of a burning sensation behind or around the eyes. 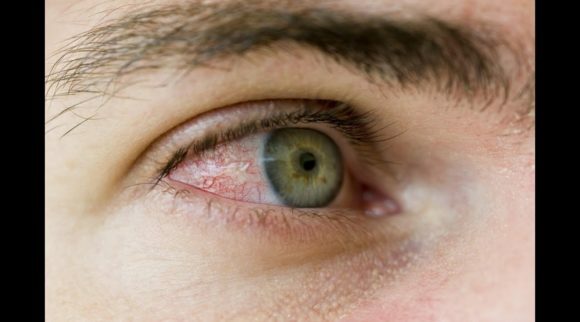 Other symptoms include watery eyes and nose, swollen eyelids and restlessness or agitation. Attacks of cluster headaches tend to occur daily and often at the same time of day. Cluster headaches are often mistaken for hay fever. They are more common amongst smokers. Tension Headaches: These headaches are most common and most adults have experienced them in their working lives. They present with a dull pain on both sides of the head, sometimes with tenderness of the face, head, neck, and shoulders. You may also experience sensitivity to bright lights and loud noise. Tension headaches last from 30 minutes to several hours, however the severity of pain and other symptoms are seldom debilitating. The causes for their onset are not known but it is often paired with times of stress, anxiety and depression in your life. Along with the above possible reasons, tension headaches may also follow periods of lack of exercise, poor sleep, bad posture, eye strain, and skipped meals. A tension headache can often be treated with over the counter pain killers. 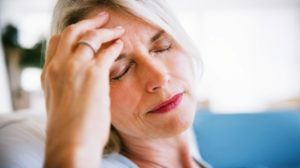 Hypnic headaches: Hypnic headaches, which are rarer than other kinds of headaches, usually inflict older adults in their 50s, but can also be rarely seen in younger people. Also known as an “alarm clock headache”, their sudden onset wakes people up in the middle of the night with mild to moderate throbbing pain on both sides of the head. Due to its rarity, hypnic headaches are not very well understood, nor are there any known triggers for this kind of headache. 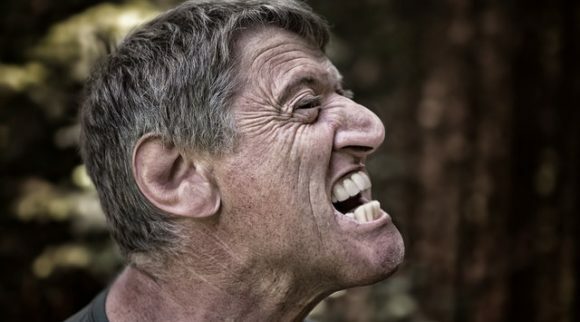 Since this pain occurs in older adults, they should be ruled out immediately whenever they occur for the first time. The leading remedy for hypnic headaches is consuming caffeine before going to bed. Sinus headaches: These headaches are usually caused by swelling of the sinuses due to seasonal or other allergies. The phenomenon is clinically called “Sinusitis” and usually results due to an infection or an allergy. The symptoms include dull throbbing pain around eyes, cheeks and forehead, along with a thick green or yellow discharge from the nose. The symptoms are accompanied by a blocked nose, fever, and nausea. Sinusitis and sinus headache are common among people with a deviated nasal septum and are treatable with over-the counter medication. Because of the locality of the pain, migraines are often mistaken for sinus headaches and vice-versa. If you do not have colored discharge coming from your nose, more than likely the symptoms are a result of a migraine vs sinusitis. Caffeine related headache: People consuming immense amounts of caffeine (more than 400 mg a day) or the ones that stop using caffeine abruptly may suffer from these headaches. Symptoms include a tiresome feeling, irritability or moodiness, difficulty concentrating or nausea. Headache due to withdrawal may be cured within an hour by consuming caffeine. Otherwise, you’ll need to wait a week from the onset of symptoms if you do not wish to consume caffeine any more. Rest assured, they will eventually cease. In addition, people with migraines are advised to reduce their consumption of caffeine. Concussion or head injury headache: Unexpected bumps or hits to the head or neck during a vigorous game or due to an accident are nothing to joke about. If ignored, it can show up in either an immediate or delayed headache that closely resembles a migraine or tension headache. These headaches, if temporary could be treated with over-the-counter painkillers, but should be taken more seriously if the headache persists or gets worse. Seek medical help if you become unconscious, have a seizure, vomit, experience memory loss or confusion, or have vision or hearing loss. Concussions are a type of head injury that is a serious medical issue and symptoms following such an event should never be taken lightly. Menstrual Headaches: Your monthly menstrual cycle can cause dramatic levels of change in hormones, especially that of estrogen. This can cause headaches that are quite similar to migraines. Yet, in the migraine vs headache debate, they are different. Menstrual migraines often occur just before or during periods, or during ovulation. Menstrual headaches usually do not accompany blurred vision or dizziness. Although, in some people they are more severe, last longer and can be more debilitating. Menstrual headaches are related to changes in hormone levels, these changes do not have to be natural. 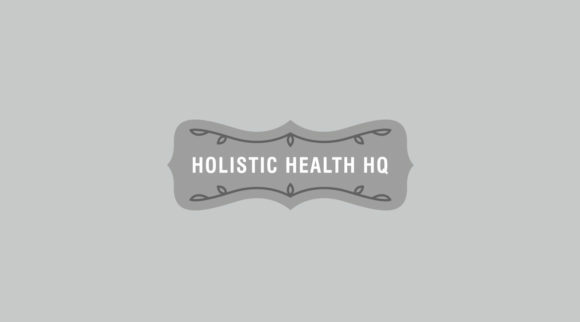 Changes in hormone levels due to other events such as taking oral contraceptive, the onset of menopause, or pregnancy can also cause headaches. See a physician to check for alternative therapies if over-the-counter medication does not work. 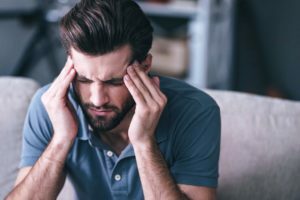 Hangover headache: Sure, most of us have experienced it at one time or another; however, these headaches have less to do with alcohol consumption and more to do with dehydration. Alcohol, or any other thing that we consume that dehydrates the body, can cause such headaches. These headaches tend to be very much tied to dehydration and can be resolved by drinking lots of water. Migraine vs headache, we all get headaches, but migraines are three times more likely in women than in men. About 20% of women generally suffer from migraines whereas it only afflicts about 6% of men. When it comes to migraines, they vary widely in type. 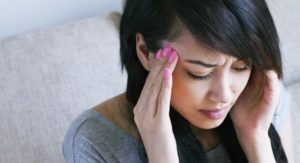 Migraine without aura: This type of migraine pain usually starts with a sharp pain on the side of the head with other migraine symptoms such as sensitivity to sound or light, nausea and some tingling in the arms or face before the headache starts. Migraine with aura: This type of migraine has certain warnings before a full-blown migraine occurs. 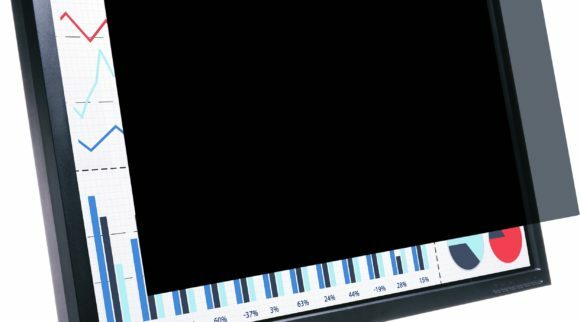 About 30 minutes before severe pain occurs, patients have reported seeing wavy lines, flashing lights and lighted dots across their vision. Also, this often accompanies distorted vision and a tingling face. This phenomenon is known as aura. 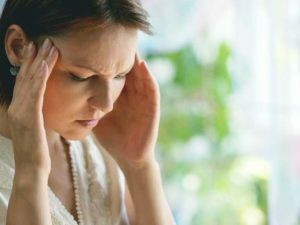 Migraine with aura but without the headache: This type of migraine only has the symptoms that the migraine headache is coming without the acute headache. So, the patient sees the wavy lines, the flashing lights and has the distorted vision, but no debilitating headache follows. This type of migraine is more common among people who are over 50 years of age and who have a history of migraines. The patient is still incapacitated because all the other symptoms, plus the nausea become worse with increased mobility. Ophthalmoplegic migraine: This type of migraine is relatively rare and inflicts more young people. 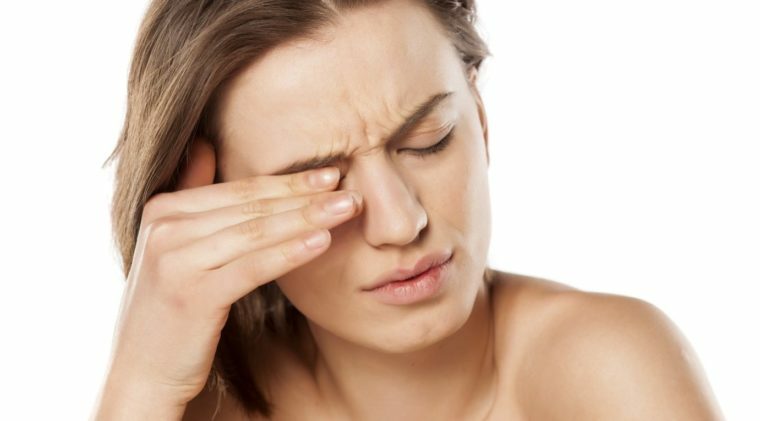 It is unique because, along with a severe headache, this migraine also features weakness in one or more muscles that control the movement of the eye. Due to such weakness of the muscles around the eye orbit, you may have dilated pupils, funny looking or drooping eyelids, along with difficultly moving the eye. These migraine symptoms persist until the migraine subsides. Symptoms are infrequent and unpredictable. Hemiplegic migraine: This type of migraine is also very rare but its onset is very scary because it mimics the symptoms of a stroke. Yes, the hemiplegic migraine causes weakness to one side of the body and the symptoms remain until the migraine episode ends. In addition, it impacts the patient’s ability to speak temporarily. It might be a good idea to get checked out by a doctor to ensure that it is in fact a migraine and not a warning for a stroke. Vestibular migraine: This type of migraine is usually common in people who had migraines as children that went away inexplicably. 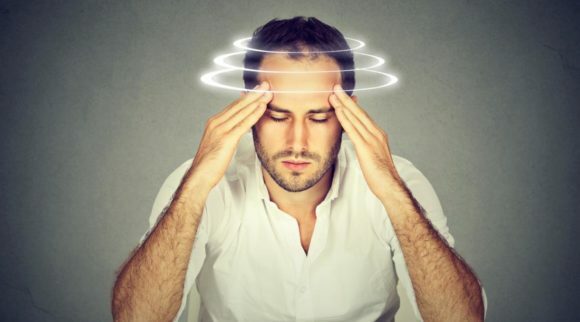 The Vestibular migraine, like “Migraine with aura but no headaches” causes only vertigo, dizziness and a loss of balance without the severe headache. Please be mindful that vestibular migraines do not always come with a headache. However, the headache is not the symptom that is most pronounced. Brainstem aura migraine: This type of migraine causes audio visual impairment and a lack of balance in the patient. Symptoms include visual sensitivity (to bright lights), sensory, speech (slurred speaking) or language (inability to form words), along with vertigo, dizziness, tinnitus (ringing in the ears), double vision and an extreme sensitivity to sound. Migraine headaches tend to be more of a throbbing headache with a pulsing sensation, often on either side of the head rather than both sides of the head. They tend to start behind the eyes, on temples, and along the jaw or the neck. Migraines also start with what may be called a pre-headache where you feel strange and abnormally tired. Its onset also begins with having a tingling feeling on your face or upper body. 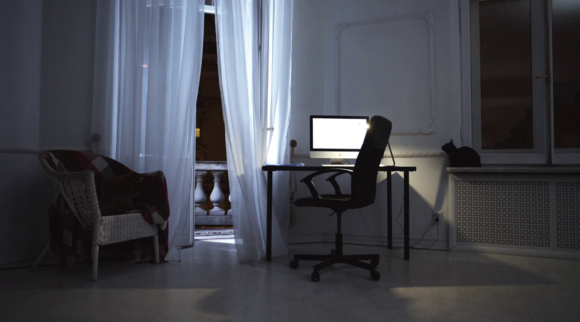 Migraine pain gets worse the more active you are, so working your pain away is not an option. More often than not, migraine pain makes you sensitive to bright lights and loud sounds. Migraine headaches are recurrent, the frequency of the headache occurring is much more than an occasional headache due to seasonal illness, allergies or stress. Migraine headaches are severe enough to stop you from functioning and you have to lie down or take a break. Aura migraine headaches typically come with blurred vision, flashing of lights or dots in the vision, spots of varying light and colored lines. Vertigo, dizziness and lack of balance have also been reported as symptoms of migraines. Food cravings and intense thirst may also be a good indication of an approaching migraine headache. During the headache, the food cravings or thirst turn into nausea and sometime even vomiting. In order to diagnose a migraine, your physician might ask to confirm for above stated symptoms along with getting your pain history, the features of your headaches, its effects, and your family history. Understand that there is no standard test to diagnose migraines, however, several tools such as CAT scans, MRIs can be used. These are mainly used to rule out other causes of headaches rather than diagnosing migraines. A migraine usually cycles through four stages: prodrome, aura, headache or attack, and postdrome. Mood changes: depression, irritability, etc. Between 30% and 40% of people living with migraine experience the prodrome, and it serves as a warning that a migraine is going to attack. Now that you know the difference between a migraine vs headache, here are some tricks to get rid of migraines. Although no known cures are there for migraines, some or all of these strategies might help treat the pain and other symptoms of migraines. 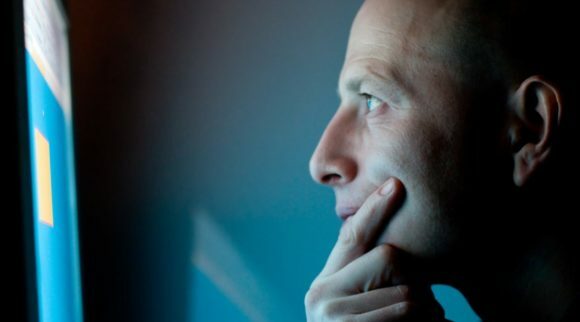 Since sensitivity to sound and light are prominent symptoms of migraine headaches, it is vital to find a calming and stress-free environment without bright lights and loud sounds. Otherwise, you will only exacerbate your headache. In the early stages of a migraine, ingesting small amounts of caffeine or caffeine paired with acetaminophen (aspirin) has been observed to ward off migraine pain. Please note that this therapy only works with small amounts of caffeine. With larger amounts of caffeine, you risk having caffeine withdrawal headaches later on. Hot or cold compresses or warm showers may have a soothing or numbing effect on your face, neck or back. This combined with a cozy, quiet and comfortable environment to rest can have a measureable effect on lessening migraine pain. One of the positive things about migraine headaches is that they are often predictable, i.e. they provide signs of onset before a full-blown attack. If you were to keep a diary of what triggered your last migraine headache, you can perhaps either manage or at least identify the triggers that bring about a migraine headache. 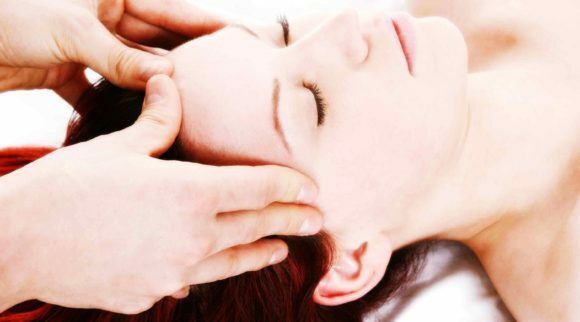 As a result, you can try to reduce either the recurrence or the frequency of such headaches. According to Andrew Michael Blumenfeld, MD, director of the Headache Center of Southern California, “Before menstruating, women have a steep decline in estrogen that appears to spark migraines.” Because rapid fluctuation in hormone levels is one of the main triggers of migraines in women, perhaps taking a low-dose estrogen contraceptive may help. Certain strategies alter the level of estrogen supplements that older women take as a part of estrogen replacement therapy. Women who frequently miss meals tend to have more frequent migraine headaches than women who eat consistently and at similar times each day. It is therefore a good idea to not go more than 3 hours without food. Women who are concerned about developing poor dietary habits with eating in 3 hour successions can include more lean proteins to keep their glucose levels steady. It is a known fact that proper exercise produces Dopamine and Endorphins in your body, along with other chemicals that block pain signals to the brain. Collectively these chemicals alleviate anxiety and depression which are key factors in making migraine pain worse. It is very important to note that moving or exercising while suffering migraine pains tends to make the pain worse, so it is important to exercise when not suffering from migraine symptoms. Also, pre-cursors to migraines often include food cravings- often for salty, fatty or sweet food. At the time, it is difficult to avoid such cravings since they seem like a way to avoid or lessen the oncoming attack. Remember to manage your diet accordingly after the attack. Simplify your life: Rather than wanting it all, try leaving a few unnecessary things off your plate every day. Time Management: Update your to do list regularly and divide big projects into manageable chunks. Take a break from things: When feeling overwhelmed, stretch and take a quick walk to gain a new zeal to finish the task at hand. Enjoy time by yourself: Find time to add mundane activities that you enjoy for at least 15 minutes every day. Playing a game, have coffee with a friend or pursue a hobby to help combat stress. Relaxation Exercises: Take deep breaths, focus on inhaling and exhaling slowly and deeply for at least 10 minutes every day to help consciously relax your muscles. When done, sit quietly for a minute or two to further help. Over-the-counter pain meds like Tylenol, Advil, aspirin and Aleve are quite effective in relieving migraine headache symptoms. There are other cocktails with acetaminophen, aspirin and caffeine that are relatively more effective. However, the effectiveness of over-the-counter meds is not very laudable for severe migraine headache symptoms. Triptans: Triptans constrict blood vessels and block pain pathways in the brain. Drugs such as Imitrex, Maxalt, Axert, Amerge, Zomig, Frova and Relpax are good examples of triptans. Ergots: Ergotamine and caffeine combination drugs such as Migergot and Cafergot are less effective than triptans. However, they are more useful for pain that lasts longer than 48 hours. However, Ergots may worsen nausea and vomiting caused by a migraine headache. In addition, they can lead to headaches related to overuse of medications. Migraines vs headaches, no matter which one you are dealing with, it poses a challenge in your daily life. You can stay healthy and happy by making healthy choices in your life and by getting support from your family and friends, as well as seeking medical attention as necessary.